Valentine’s Day is all about showing love to others. Getting the perfect box of chocolates or game tickets for the love of your life. Making a special breakfast of heart-shaped pancakes for the little ones. Celebrating Galentine’s Day with a pack of girlfriends – who needs guys anyway, at any age?? What we don’t focus on enough during this heart-bedecked holiday is ourselves. But without regard for your own wellbeing, as well as a hefty emphasis on your health, you can’t expect to enjoy as many happy heart days with the important people in your life. It’s time to put your own heart first, for once. Luckily, there are certain things you can do to help your health. Increasing studies have shown that taking particular actions can help protect your ticker – and it’s easier than you think. We all know that exercise is the key to health. Most of us also know that getting the heart rate up is a fundamental component of “good” exercise. A new study shows just HOW important it is, though. Let’s break this down. In non-doctor speak, it means that higher fitness levels are associated with reduced chance of cardiovascular disease. More specifically, the individuals with higher VO2peak – a measure of endurance based on the amount of oxygen an individual is capable of taking up during exercise – had a significantly reduced chance of getting heart disease later in life. What is unique about this study is that, rather than rely on self-reporting, the researchers culled through medical data and linked exercise habits with mortality rates from heart disease, painting a very clear picture. The bottom line: Those who exercised regularly had fully half the chance of getting heart disease. The implications are clear: Get your sweat on a little more often. This doesn’t mean you have to sign up for a half-marathon anytime soon. In fact, if you’ve never trained hard, midlife isn’t the best time to start – at least until you have a solid foundation of exercise to back up such a sizable goal. For now, just lace up those walking shoes and head outside more often. Go on more hikes with the dog, and try to sprinkle in some elevation, which is even better for your circulation. The most important goal, though, is to establish a habit today. Reducing your risk isn’t all exercise can do for you, though. Did you know that new research indicates humans might be able to regenerate heart cells with exercise? So far the results are confined to animals, but another new study takes serious hope from their findings. Exercise induces new cardiomyocyte generation in the adult mammalian heart, directed by Ana Vujic and colleagues and published in Nature, reverses the old thinking that we can’t regrow heart cells. This is awesome news, considering that one of the biggest problems dogging cardiologists and their patient’s today is the limited understanding of why heart cells don’t regenerate, and what we can do to change that. Again, in plain English this means that the miR-222 microRNA – a protein production inhibitor – can help induce cardiomyogenesis (the increase of heart cells) in mice. In turn, exercise increases the amount of miR-222, leading to the generation of heart cells. While the study is so far confined to animals, we have plenty of evidence indicating that mice and humans share significant biological functions, including the operation of the heart. Bottom line for you? Well, back to lacing up those running shoes. With just a bit more time on the trail, you could see a healthier heart and it might even be possible to regrow those cells. While you’re waiting for those exercise-induced results to kick in, you can turn to your diet for a major heart boost. Namely, omega-3’s. But, they acknowledge, it’s not always possible to get enough Omega-3s by diet alone. In that case, a quality supplement with a thorough background of testing is an excellent addition to any heart-healthy plan. Eating multiple servings of fish per week or per day might not make the most sense for a variety of reasons (including mercury and toxins increasingly found in fish), which is why a lot of people go with a distilled, purified mercury-free omega-3 supplement, like OmegaBrite 70/10 MD. So this Valentine’s Day, show yourself a little love. It’s okay to start small: one walk around the block, one serving of fish per week, one (or more) capsules of OmegaBrite 70/10 MD. 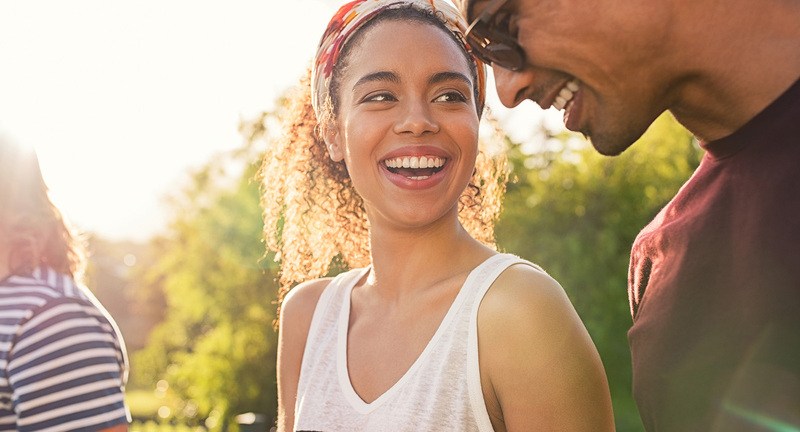 Over time, these habits will build on themselves – so you can stick around for a long time and celebrate many more VDays with the ones who matter.